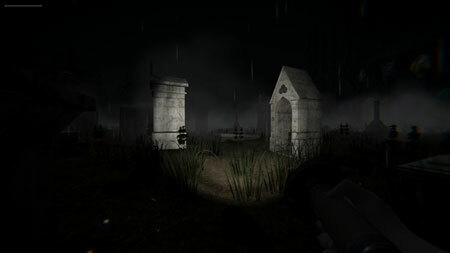 Bloody Mary: Forgotten Curse is an open-world horror survival game from Fargamer Studios, with stealth, narrative and adaptive elements that you can take advantage of to survive. It is your role to escape from Mary, who is never far and stalking you as you try to figure out how to escape from the realm. You will wake up in a dark, cold cave with nothing but your wits and will to outsmart, outrun and survive. Escape a relentless predator steeped in legend. Learn the secrets of Mary’s realm. Discover the untold mystery. Explore a vast island lost in time. Evade supernatural enemies with stealth and wit. Do whatever it takes to survive. Explore caves, lagoons, villages, tombs and more. Find artifacts of the past to piece together the history of the realm. Escape your demented pursuer in an untold mystery that only the keenest player will unravel and escape before meeting their end. If you get stuck in the game, check out the video walkthrough and gameplay for the game. This entry was posted in PC Games, Walkthrough and tagged Bloody Mary: Forgotten Curse Cheats, Bloody Mary: Forgotten Curse Gameplay, Bloody Mary: Forgotten Curse Guide, Bloody Mary: Forgotten Curse Strategy, Bloody Mary: Forgotten Curse Walkthrough by Marvin. Bookmark the permalink.